Provisional restorations are often used during complex restorative dental procedures to serve as temporary prosthetic replacements while patients wait for a permanent restoration. Provisional restorations offer patients to try-out the look and feel of the final prosthetic and make any necessary changes before the final fabrication and fitting. Unlike temporary prosthetics of the past, modern provisional restorations are highly functional and aesthetically pleasing. Today’s temporaries are composed of a quality acrylic resin that mimics the look and feel of permanent metal or ceramic restorations. Will I need a provisional restoration during the course of my dental treatment? You may need a provisional restoration if you are preparing to get a new crown, bridge, veneers, dental implants or some other permanent restoration. Temporaries may be put in place to ensure you are pleased with the aesthetics and fit of your new prosthetic. You may also be fit for a provisional restoration while you wait for a dental lab to finalize your permanent ones. What should I expect when being fit for a dental temporary? Temporaries are constructed in a dental laboratory using impressions and digital images of your teeth. The lab will produce a ‘wax-up’ that you will approve before the temporaries are fabricated. Your dentist will prepare your teeth for the provisional restorations and temporarily attach them to your teeth, where they will remain until you are ready for your permanent restorations. Will I need to follow any special guidelines after receiving my temporary restoration? You may need to wear your temporaries for just a few days or for several months depending on the type of dental reconstruction you are undergoing. Temporaries formed in place of crowns or veneers may only need to be worn for a few days to a few weeks, whereas dental implant and full-mouth reconstruction patients will need to wear provisional restorations for several months while the gums heal and the implants fuse with surrounding bone. 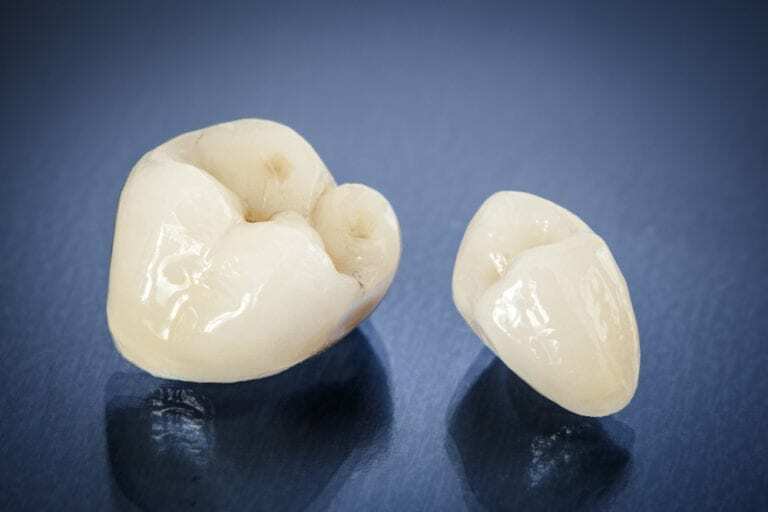 Keep in mind that provisional restorations are less durable than permanent ones and are placed using provisional cement. Because it is possible for them to shift or become damaged, you should be careful to follow your dentist’s guidelines for caring for your temporaries – including using good oral hygiene, abiding by dietary restrictions, and using protective mouth gear during sports or high impact activity.